Self-defernse classes are offered quarterly. If you have a group interested of 5 or more let us know and we will schedule something for you and your group. Self-defense classes are taught in the Kung Fu and Hapkido style. 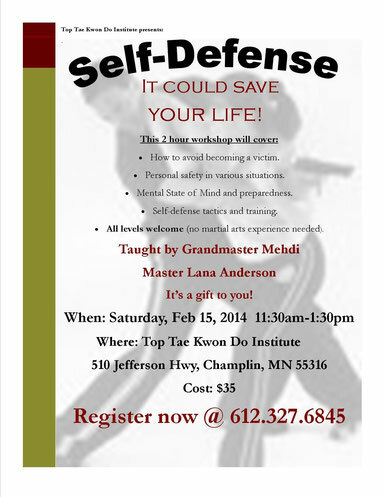 Next self-defense class is Saturday, Feb 15th from 11:30am - 1:30pm.